Big views were introduced in Android 4.1, and they're not supported on older devices. 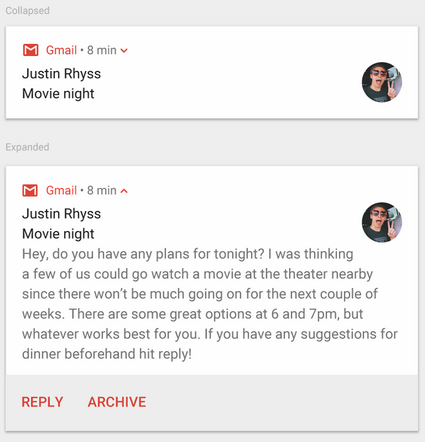 Big Text style lets the user preview more of the text when the notification is expanded. Value: Long text to be displayed. Value: Custom notification title.If there is no ntitle parameter, the application name displays.